Get Exclusive Horoscope Prediction For Capricorn! At the beginning of the month, two planets will be retrograde across Capricorns’ financial axis. You will have to be more careful with the way you spend your money. A new income plan will not work out this time. A better solution this month will be to cut your spending.  Though it is really frustrating for you, Capricorn, it’s just a temporary measure. On top of that, Mercury will be retrograde in your 8th House of Shared Money, Investments, and Debt. This means that you will need to check your tax records and insurance documents. Some positive changes may occur when Mercury turns direct on August 19. Until then take time out and use this opportunity to recharge. The best astrological stress relief tips for Capricorn.